As if Ryan Reynolds' previous efforts of letting a young kid who was dying of cancer see an early screening of Deadpool and donating $5,000 to a cinema fined for serving beer during the film weren't enough, yet another story has emerged that confirmed Ryan's status as one of the nicest guys in Hollywood. Despite the budget for the comic book movie being around $60 million, 20th Century Fox were unwilling to pay to have screenwriters Rhett Reese and Paul Wernick on set during filming. The two writers, who also penned Zombieland, had spent six years on-and-off working on the script. This was despite the fact that at points it looked as if it would never be made. They therefore understandably wanted to be on set so they could make any last-minute alterations to the film if required. With 20th Century Fox unwilling to pay for the pair, Reynolds - a producer as well as the star of the film - stepped in to make sure they could be around to see their script come to fruition. On Sunday, during the latest episode of AMC's Geeking Out, Wernick And Rheese said that, thanks to Reynolds, they were 'on set every day'. "Interestingly, Ryan wanted us there, we were on the project for six years," they said. "It was really a core creative team of us, Ryan, and the director, Tim Miller. Fox interestingly wouldn't pay for us to be on set. 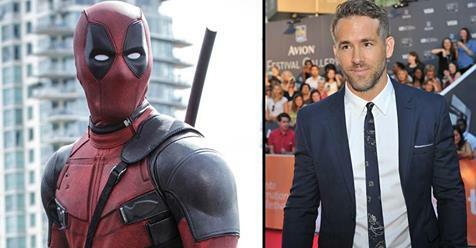 Ryan Reynolds paid out of his own money, out of his own pocket." Earlier this year Reese and Wernick told Slash Film that it was clear they appreciated and valued Reynolds' passion. They credited him for trusting them to play in their 'sandbox for a bit' when they were trying to make the movie happen. With the movie a success, the three of them, in addition to Tim Miller, will soon be back on set for Deadpool 2, which is due for release in 2018.